Acer, the Taiwanese multinational hardware and electronics corporation, has a lot in store for visitors at Computex 2018. 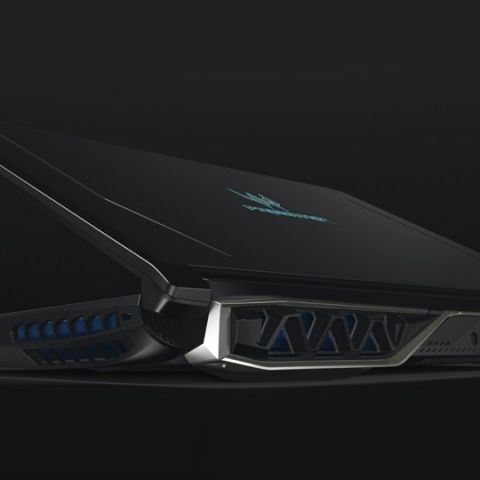 They are showcasing their entire lineup of gaming hardware including gaming PCs and other gadgets, notably the Predator Helios 500 gaming laptop, the Predator Orion 5000 gaming desktop and the Acer Nitro 50 desktop. Along with that, they are also bringing in celebrity gamers, who visitors can watch in action with Acer devices. They've also set up experience rooms in downtown Taipei for the passers-by. The objective of their efforts is to bridge the gap between consumers and the latest in gaming technology. A number of devices unveiled at the next@acer global press conference in New York earlier this month will be available for consumers to experience. The new Predator Helios 500, featuring a 2nd Gen AMD Ryzen™ 7 2700 processor1 with 8 cores and 16 threads, and AMD Radeon™ RX Vega56 graphics with 8 GB of second-generation high-bandwidth memory (HBM2) will be showcased. Alongside, the Predator Orion 5000 gaming desktop will be available for consumers to experience. With up to 2nd Gen AMD Ryzen 7 2700X processors with 8 cores and 16 threads paired with the latest AMD B450 chipset1, and up to NVIDIA® GeForce® GTX 1080 GPUs, the gaming desktop also features a chassis with a transparent side panel and the IceTunnel 2.0 airflow management design. Also showcased will be the Acer Nitro 50 desktop, which, although less powerful than the Predator Orion 5000, still looks promising for gamers. The Nitro 50 (N50-100) features up to 2nd Gen AMD Ryzen 7 2700X processors with 8 cores and 16 threads, with graphics options of AMD Radeon RX 580 GPUs or up to NVIDIA GeForce GTX 1060 GPUs with up to a 512GB SSD and 3TB HDD.